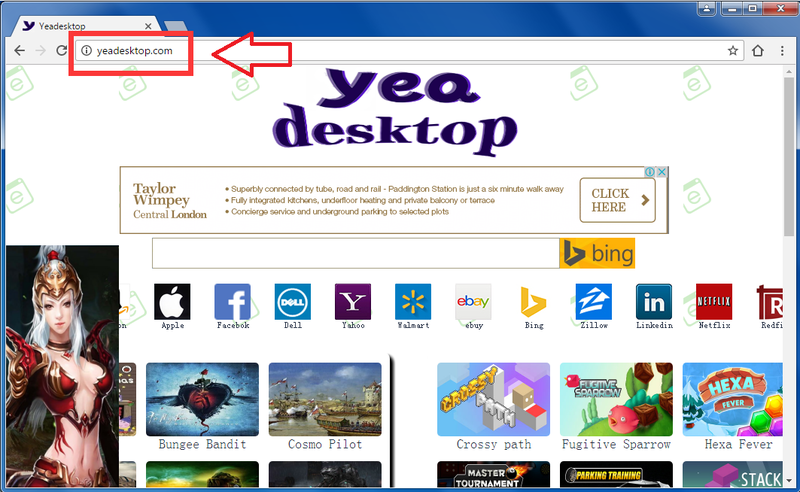 Yeadesktop.com is a browser hijacker that is to blame for the changes made to your browser. If you have never encountered a hijacker before, the first thing you should know is that it is not malicious itself. Hijackers aim to lead users to sponsored content, and in order to make it easier to do so, it changes your browser’s settings.Yeadesktop.com will become your home website on most browsers and once that happens, you need to be careful of those redirects. Not all of them may be safe and you could be led to malicious pages where malicious software could be lurking. You picked up and installed the infection along with free software. This is the most common way to spread hijackers because a lot of users are not aware of the fact that various unwanted items could be attached to freeware. You will gain nothing but trouble by allowing Yeadesktop.com to remain on the system. Remove Yeadesktop.com without mercy. Should you delete Yeadesktop.com and how does it spread? Yeadesktop.com will become the homepage of most of your browsers. That essentially means that every time you open Internet Explorer, Google Chrome or Mozilla Firefox, you will be led to Yeadesktop.com. This will only stop happening if you uninstall Yeadesktop.com because every time you alter the settings, the hijacker will change them again. So until you remove Yeadesktop.com, you are stuck with a different homepage. It offers no useful features that would make putting up with all the irritating things worth it. The page will be full of ads, and if you have anti-malware, it will block access to it. If you try to search for something with the provided search engine, you will encounter sponsored results inserted among the legitimate ones. You could even be led to dangerous or infected pages where you could pick up a malware infection. You really get nothing from this dubious site, so delete Yeadesktop.com. There is nothing unique about the way Yeadesktop.com spreads. All browser hijackers use the same bundling method which entails attaching the hijackers to free software. They are not visible unless you purposely go looking for them. The unfortunate thing is that they are set to install so if you end up not noticing them, they will install alongside the freeware. So as to prevent them, manually deselect them in Advanced or Custom settings of the freeware installation process. Just uncheck the boxes and you can continue installing the freeware. If you do this, you will ensure that you will not have to uninstall Yeadesktop.com. Essentially, there are two ways to erase Yeadesktop.com. Automatic Yeadesktop.com removal means you will have to get anti-malware software. This would be the most efficient way because the program would do it all for you. If you choose to eliminate Yeadesktop.com manually, you will have to locate the hijacker yourself.